The interest in the RF-over-Fiber Series, since launching in June 2015, has been incredible, and HUBER+SUHNER has both expanded and improved its RF-over-Fiber products to more accurately meet the needs of the market. 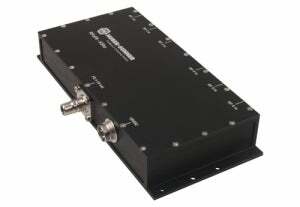 The new RF-over-Fiber modules, split into 3 GHz and 6 GHz modules*, deliver best-in-class performance. HUBER+SUHNER is especially pleased to announce the launch of its first transceiver modules. We are convinced that the new additions to the RF-over-Fiber Series will open the door to a number of new opportunities. With the hardware now in place, HUBER+SUHNER needs to focus on helping its customers move from interested to committed. * The 6 GHz module replaces the 5 GHz module.